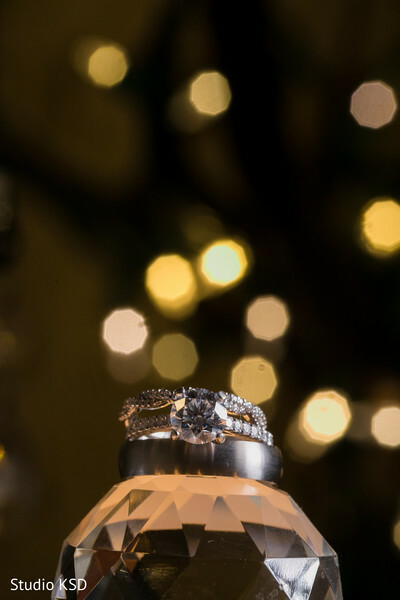 After a gorgeous and glittering ceremony at the Brooklake Country Club, our couple was officially husband and wife. It was all laughter and joy down there and no less, a love voyage had just begun! 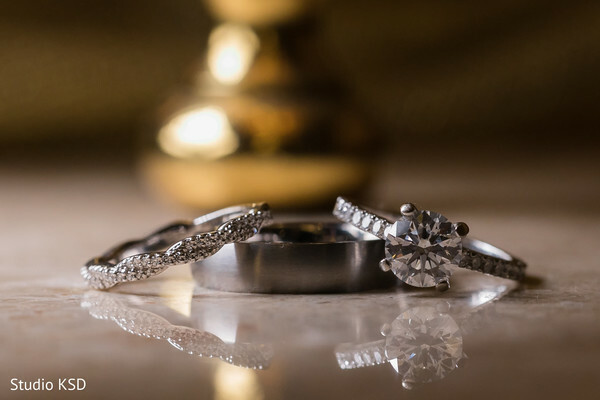 We know for a fact that one of the most exciting parts of weddings is of course, the celebrations that come after. 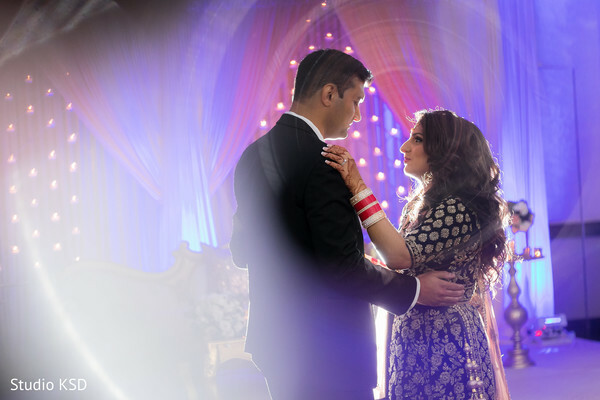 None like a Maharanis to bring to life all the ravishing glam that goes along at the receptions. Maharani Jasminder wore a deep navy blue lengha with golden features all over it for the night time. The lucky Raja Amol rocked an elegantly classic black tuxedo that made him look absolutely neat. No wonder our bride fell head over heels! Let me tell you, this couple looked like straight out of a story from the One Thousand and One Nights book. Today's gorgeous images come thanks to our dear friends from Studio KSD, who as we have seen multiple times before, are absolute masters of their craft through their lense. 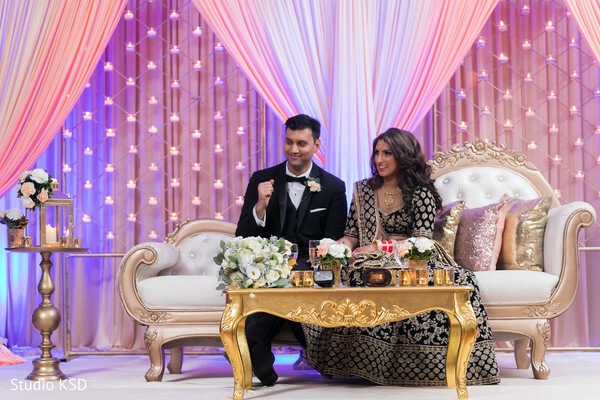 So here you have it, dolls, the full gallery of Jasminder & Amol's nuptials has arrived. Yes, sir! Amol and I took a last minute trip to California and stayed in Carmel-by-the-Sea. Even though it was a fairly last minute trip, the planner-mode in me took over and planned every aspect of the vacation. Little did I know, my soon to be fiancé, Amol, was trying to plan something special of his own! Usually, when we are on vacation, Amol and I like to run through the local town/neighborhood to explore the area. Carmel-by-the-Sea was no exception, and it is the perfect place to do so with its picturesque houses along the beach. As we were getting ready to go for an early morning run, Amol kept trying to convince me to take a shower and do my hair. I kept saying, “Why would anyone do that before a run!” I decided to at least look somewhat presentable because I knew I'd ask him to take a ton of pictures of us since we had plans to run along Pebble Beach. As we were running I took a bunch of pictures on my phone, but once we arrived at the beach I wanted my real camera to take a picture on the beach. Amol had conveniently offered to hold it in his backpack that he took along with him. As I was gazing towards the water, Amol was rustling around in his backpack for my camera, but when I turned around it wasn't the camera he was holding, it was the ring! Next thing you know, he was down on one knee! Of course, I said YES! 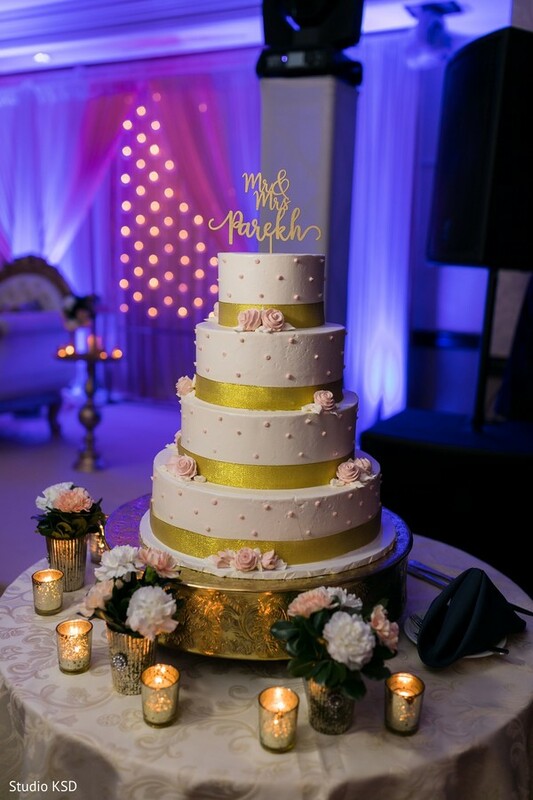 Venue: Brooklake Country Club - Everyone was AMAZING! Peter and his staff really went above and beyond to make our day so special. The service, space, every one helped to make the night perfect! Catering: Rasoi Catering - Working with Sagar and his team was great. Our guests LOVED the food! Everyone commented that all the dishes were top notch and extremely flavorful! Bridal Makeup: Pauline Nobles - Pauline really made me feel flawless! I felt so beautiful. I loved how she transformed my look for the reception and I received so many compliments the entire night about my hair and makeup!! 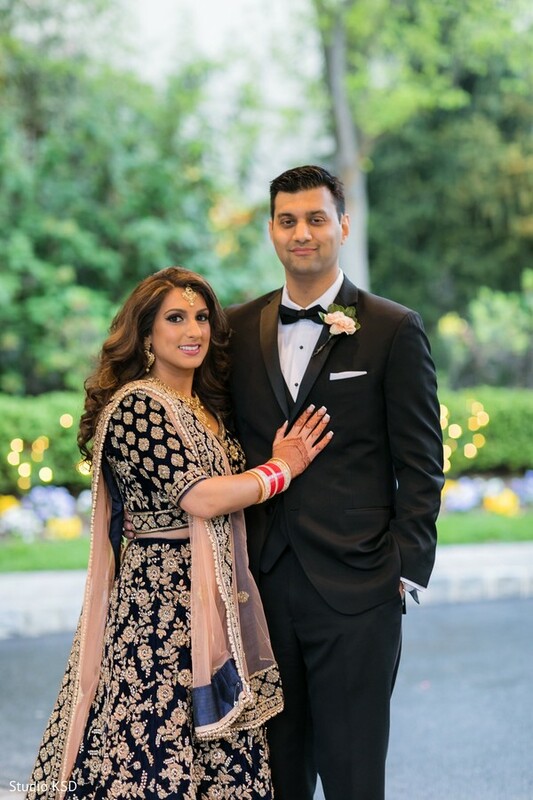 Decor: Niral Decor – Nirali and her husband were so sweet and kind and worked with us each step of the way! DJ: MC Pervez was SO GOOD! He really knew how to work for the crowd, get everyone on the dance floor, but most importantly made us, as the bride and groom feel special! Mehndhi: Henna by Pallavi - Pallavi is such a hardworking, creative, and kind artist. She spent hours doing my bridal henna and helped to calm me down when things were getting hectic. Her intricate designs really matched my style and I loved how the designs came out! My parents and I went to India to get my wedding outfits. It felt so surreal going, because that last time I was in India, was for my sister's wedding, almost 8 years earlier. We went to a lot of different shops to browse around and even took some long road trips to look for the perfect outfit. I wanted to go with the classic red look for my ceremony. My mom was very influential in helping to pick out my ceremony lengha and I have to admit, Moms are always right! It was perfect. As for the reception outfit, I didn't really have anything specific in mind, but I knew from the minute I tried on my reception outfit, it was the one that would make me look and feel like a princess, and it really did! One of the most enjoyable parts of wedding planning was getting creative and seeing everything come together at the end. 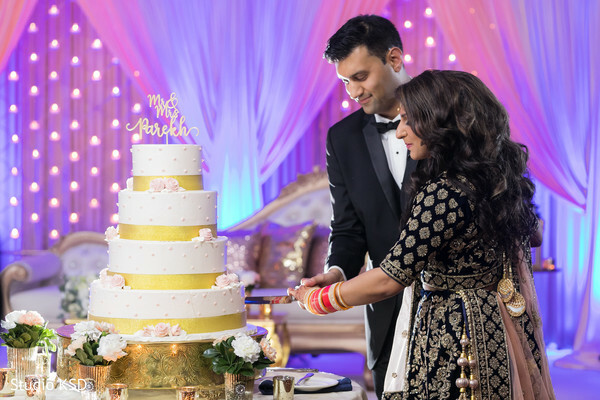 Even though Amol and I had been dating for so long, wedding planning also helped us learn more about each other and what was important to each. In the end, we felt so accomplished getting it all together! Amol and I decided to get Multicolor LED foam glow sticks but weren't sure when we would end up using them. For most of the night, we had people on the dance floor but there was a brief period after dinner that was quiet. We knew it was time for the glow sticks! 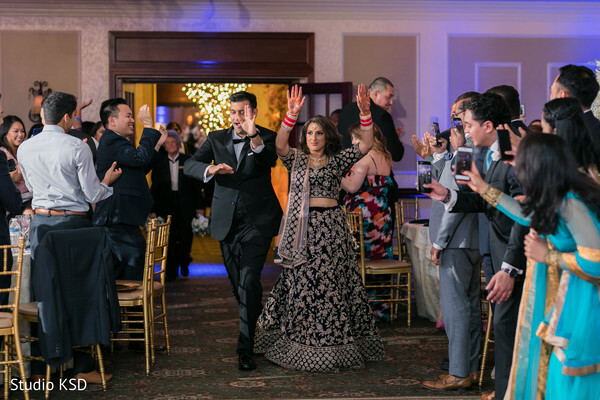 We brought them out and everyone got re-energized and we had a packed dance floor! 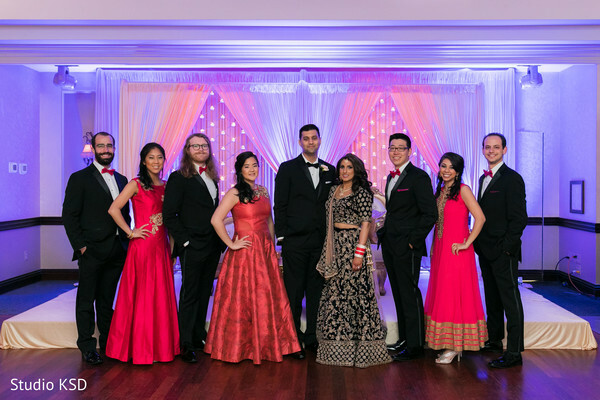 We loved this moment because it got all of our friends and family together and we all had so much fun dancing the night away! It can be hard to accept but not everything will not go as expected. However, in the end, you will have one of the most fun nights of your life! No one will notice the little things that may not have gone exactly as planned! Enjoy every moment and as long as you have fun it was all worth it! And don't forget to SMILE!! See you tomorrow for more! Studio KSD, Flawless Beauty by Pauline and Brooklake Country Club are members of the Platinum Guide. Love what you see? Explore their portfolios.